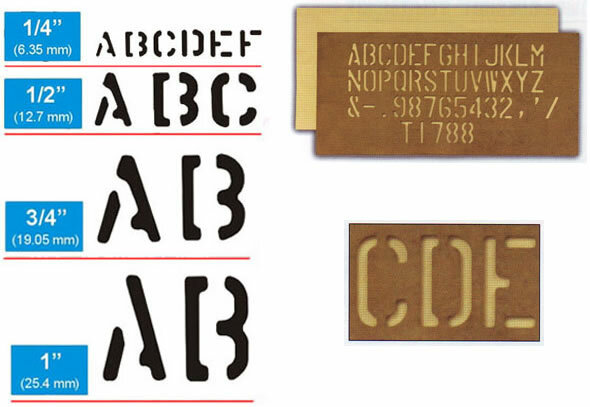 Stenciling is a quick, cost-effective way to mark products for shipment or to identify plant areas. It can be used on any large surface-flat, curved, porous and non-porous. This versatile marking method is the perfect choice for business that have a variety of marking needs. It is also convenient for creating directional signs. 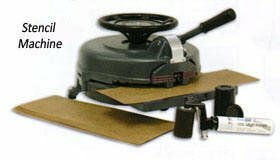 Diagraph stencil machines have been the industry standard since we invented the stencil cutter in 1893. 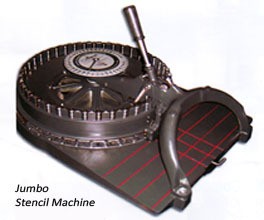 Today we manufacture stencil cutters using leading-edge manufacturing systems and techniques. • Covered by a one-year warranty on parts. • Available in ¼", ½", ¾" & 1" letter height.